Dogs love to pee. Aside from the obvious upside, urine serves as a sort of fingerprint in the dog world. The smallest drop of urine contains information about the age, gender, rank and temperament of your dog. It’s no wonder that in a big city full of dogs, your dog seeks out the perfect place to leave her calling card. Even better than eliminating on the ground, is peeing on objects. Male dogs in particular strive for altitude, the goal being to scent mark at nose level. That way, any passing dog can easily know who has come before. This contributes greatly to the appeal of trees and shrubs as business card holders. Male dogs are not alone in the quest for height. Many female dogs try to imitate. The difference is that female dogs don’t have the same leg-lift or aim as the boys. We can probably thank the ladies for the marking of more tree banks than actual trees, but they’re still contributing. As much as your dog enjoys leaving his stamp for other dogs to smell, unfortunately, dog urine is a big enemy of plant life. Grass, trees and even tree roots (meaning the three foot area surrounding trees) are damaged by even that one drop of your pup’s calling card. Imagine the damage done when dog after dog uses that cute little shrub right outside your door to say hello to other hounds. What do you mean Curb? To “curb” your dog simply means that you steer her toward the street to eliminate. The ideal place for her to go is in the street, just off the curb. This insures her safety by keeping her close to the sidewalk and away from traffic, but also keeps your neighborhood clean. By encouraging your dog to eliminate in the street, you’re insuring that any leftover scent will be whisked away by street sweepers. Do not, however, think this means that you don’t have to pick up the poop! You still do! Teaching your mutt to eliminate in the right place is easier than you’d think. When you see her sniffing for a place to go, gently lead her to the curb. If you’ve used a keyword in the past to encourage elimination, go ahead and use it. If not, start to teach her a command (such as “hurry up” or “bathroom”) so that you can inform her as to the appropriate place to go. You can teach the command easily by repeating the word while the dog is in the act of eliminating. Popping a treat in her mouth as soon as she’s done will certainly hurry the process along. Positive reinforcement (as in doggie biscuits) will compel your dog to want to eliminate in the places that work for you. I use the phrase “not there” when my dog considers a spot that I deem inappropriate. I then steer her toward the street and walk back and forth in a small space (movement makes movement). This works well for puppies just learning to go outside as well. Keeping your exploring to a minimum will help keep the pup’s mind on the business at hand. Curb training will get easier and easier when other dog owners start to understand the need to curb. 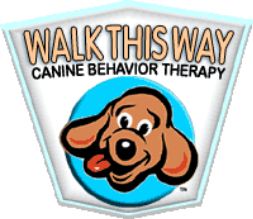 Your pup will want to eliminate in the street because that’s where everybody else goes!